An Eco friendly backsack that looks stunning with a print decoration. 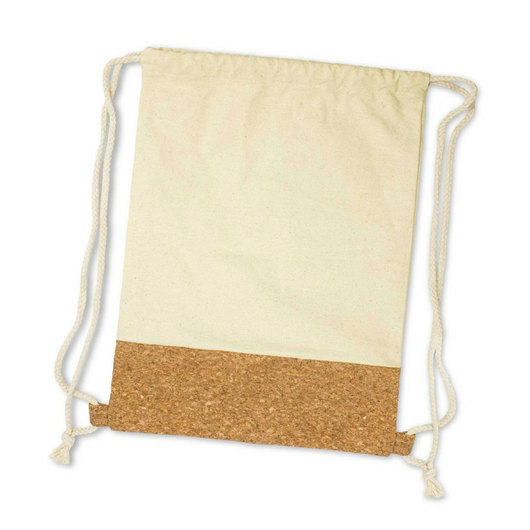 Pop a cork and celebrate, these calico drawstring backpacks are going to be a big hit. 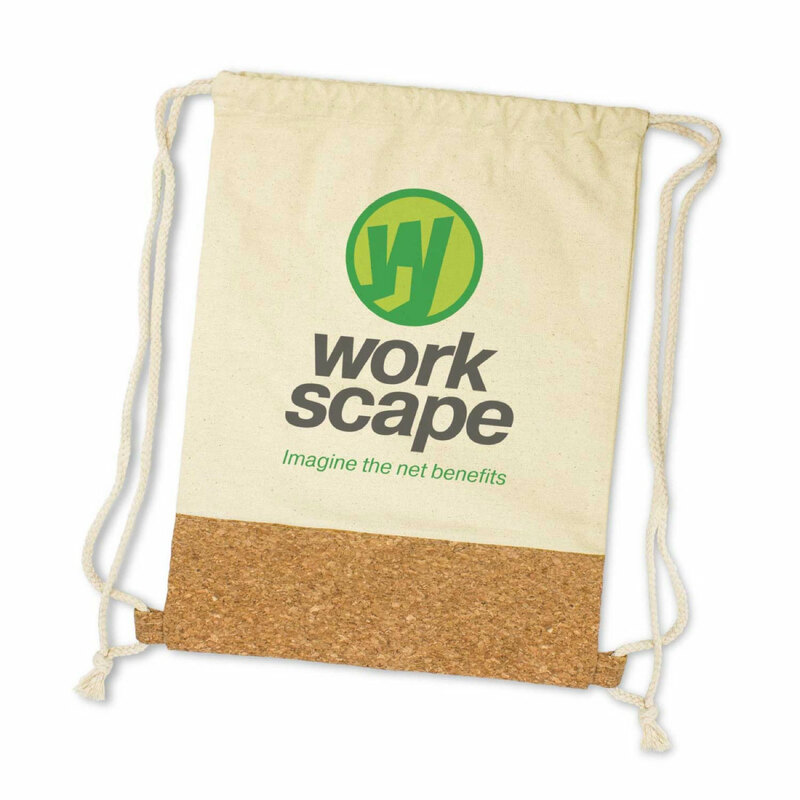 They are made from heavy duty 280gsm heavy duty cotton canvas and feature a trendy cork front panel and woven cotton drawstring. They host a large decoration space and look stunning with a high quality print. Get a quote and a virtual sample of these backsacks today!